Internationally his was a great year for comedy, with films that mixed face-splitting humor with poignant humanity. While some critics pointed out the lack of essential viewing earlier this year, by December, we’d had films such as “The Hurt Locker”, "Inglourious Basterds” and “Star Trek,” all of which constituted quality entertainment, but which just missed the cut for our list. Of course, there was also plenty of pointless escapism in the form of “Transformers 2”, “X-Men Origins: Wolverine”, “Dragon Ball: Evolution” and “GI Joe” – the kind of films that cater to the lowest common denominator. This adaptation of a six-part British mini-series is a twisted – but never unnecessary complex – thriller driven with the intrigue of politics and journalism. It plays like a modern version of “All The President’s Men”. 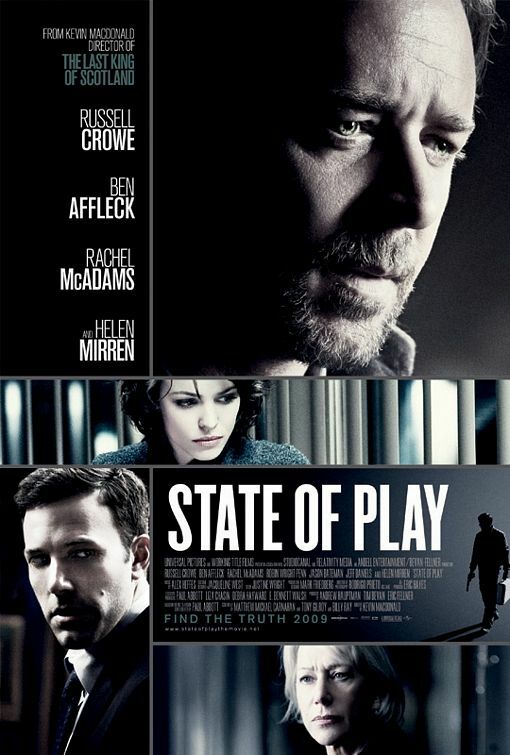 “State of Play” is also a showcase of grand acting, with Russell Crowe as Cal McAffrey, a talented street-smart journalist, and Ben Affleck as an equivocal congressman. 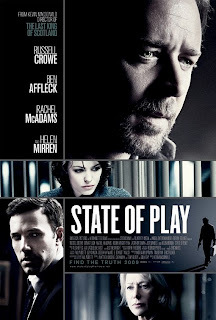 The film works beautifully as a popcorn flick that manages to retain its intellectually thrilling prowess throughout.